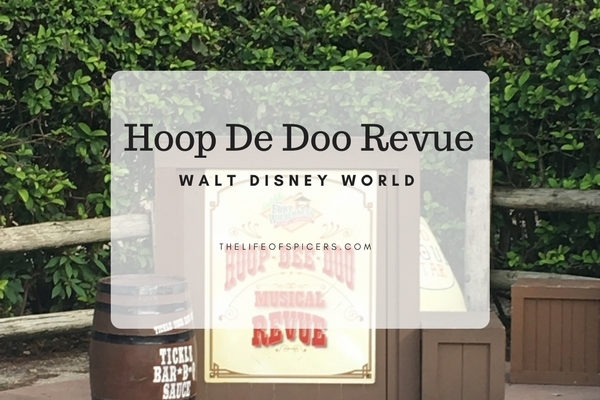 I have to admit, Hoop De Doo Revue was the dinner show I was most looking forward to on our Walt Disney World trip this year. 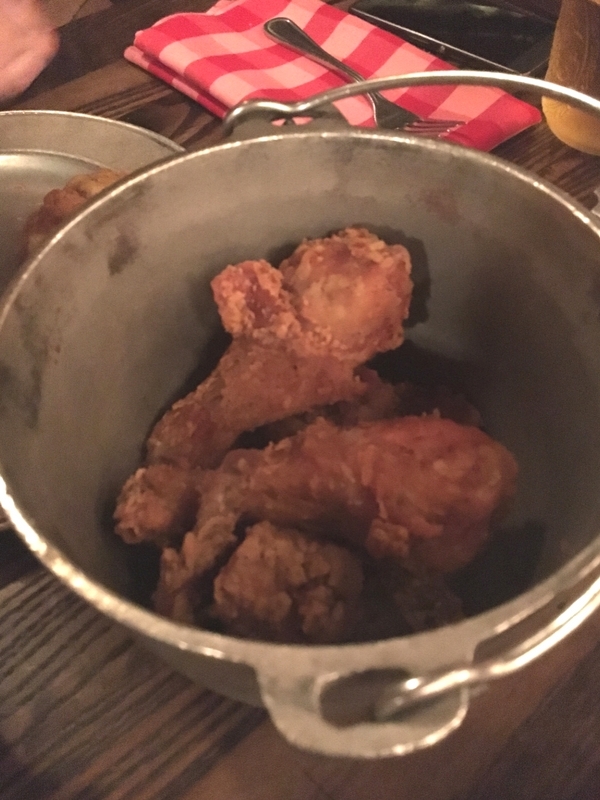 After reading so much about it and watching some footage of the show, I knew it was going to feature on our dining plan choices when we decided to upgrade our quick service dining plan to the regular dining plan. 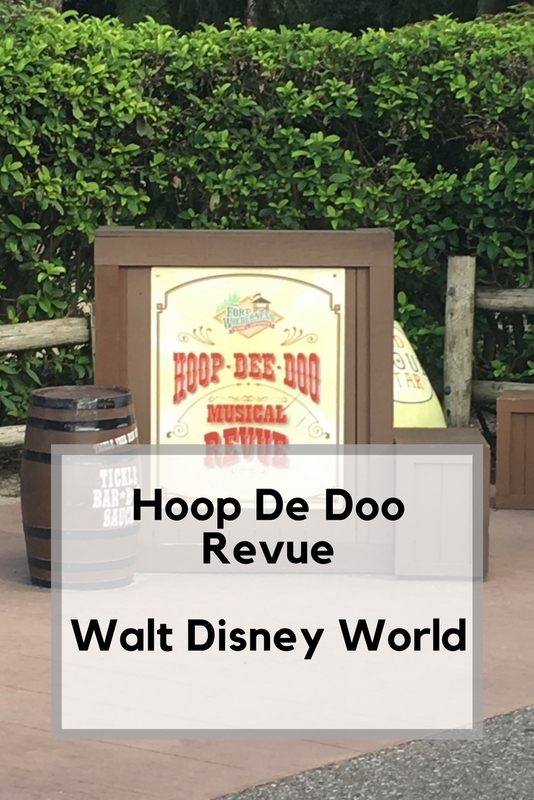 Hoop De Doo Revue has three shows per night. Show times are 4.30pm, 6,15pm and 8.30pm, with each sow time lasting approximately 2 hours. Reservations for the shows are essential and they get booked up well in advance. The Hoop De Doo seating plan is in three sections. Using the Dining plan we could visit the first two shows of the night for two credits for category two or three seating, or go to the later show and use two credits to take advantage of category one seating. We decided to attend the middle Hoop De Doo Revue show at 6.15pm and use two dining credits with category two seating. Tips are included in your reservation cost, so there is no need to leave additional tips. I collected our tickets at Caribbean Beach resort when we checked in, as this would save us some time queueing to collect them when we arrived at Fort Wilderness Campgrounds on the evening of our booking. We were booked for the third day of our holiday, so I planned a busy morning and a quiet afternoon so we weren’t rushing to get across to Fort Wilderness using the Disney bus transportation. It’s always advisable to leave 1.5 hours to account for bus times and traffic etc. Our journey would take us from the Caribbean Beach Resort via bus to Magic Kingdom, then the resort boat across Bay Lake to Fort Wilderness Campground. We timed everything impeccably and arrived very early at Fort Wilderness, so we took a bit of time to have a look in the shop, and enjoy a drink on the rocking chairs whilst we waited for the check in desk to open. As you arrive from the boats, Pioneer Hall is in sight, next to Trails End and near the playground, so there is plenty to do if you arrive early. Around forty minutes before Hoop De Doo started, the check in desk opened, so I thought I would just get us checked in. I was so glad I did as it meant we were seated very near the front just off to the side. I thought our table was in a great position and despite the bollard, we had a great view. We were impressed that we were seated so close to the category one seating area. Once checked in, it meant we didn’t have to be at the front of the crowds entering Pioneer Hall as you are seated by the servers. As we sat down, we realised that all the seats swivel which is a great touch. No scraping of chairs as you try to turn yourself around, and it also makes it so easy to twist to eat, chat and watch the show. 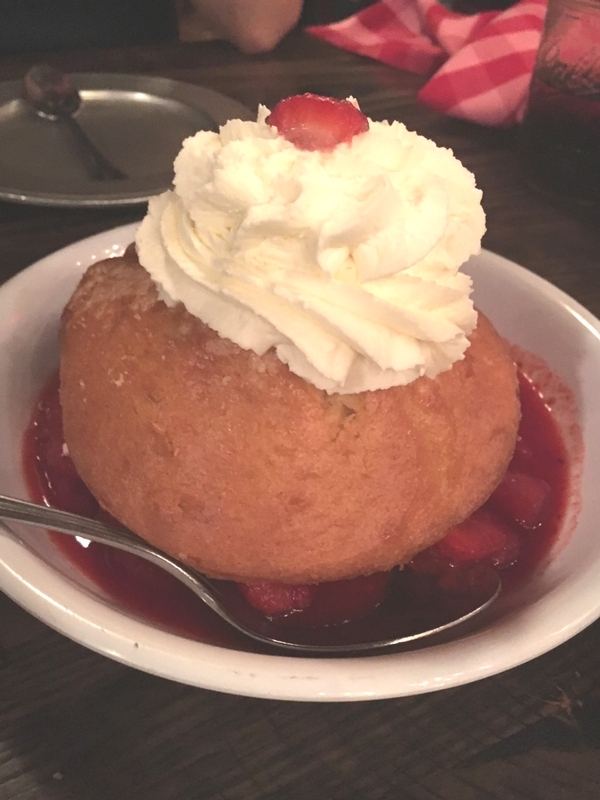 Hoop De Doo Revue offers unlimited food and drink included in the price. Gratuities are also included in this price. Drinks on offer range from the standard fountain soda, through to beer, Sangria and wine. I chose wine, thinking it would come out in standard large Disney glasses with a small amount in, but nope a large amount of wine arrived in a jam jar. 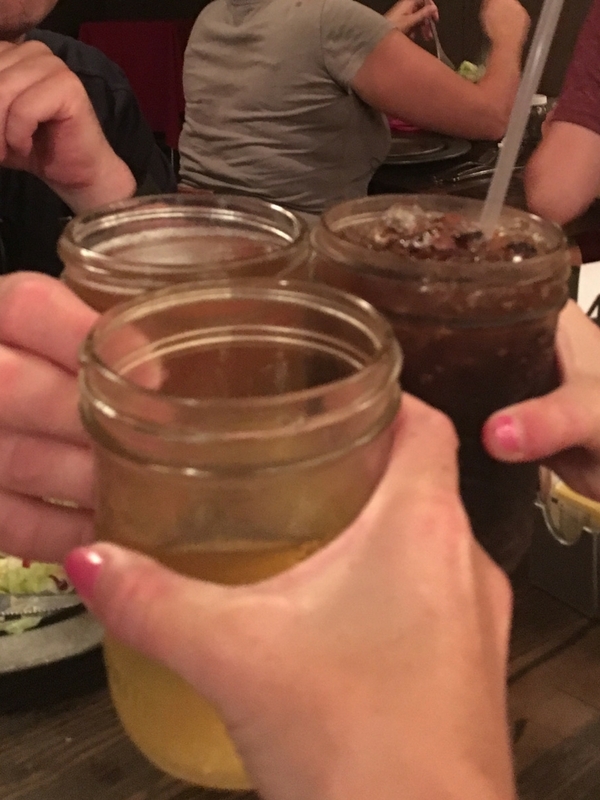 All the drinks are served in jam jars which fit amazingly with the theming. 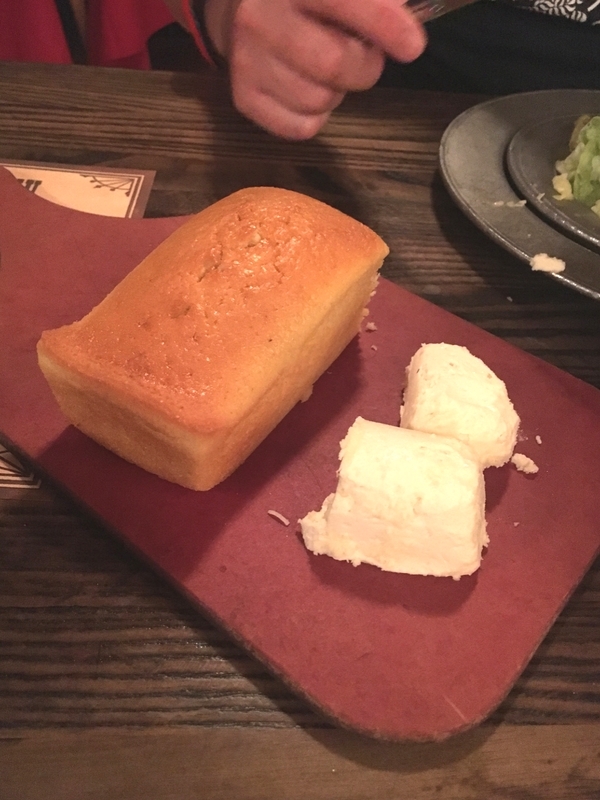 On our table already was a dressed salad and cornbread and butter. I’m not a fan of the cornbread, but the others enjoyed it. The salad was really tasty and was a great appetiser whilst everyone was being seated and drinks served. After a little while the show started and the Pioneer Hall players arrived, introduced themselves and sang some songs. I found the servers were amazing at topping up drinks, clearing plates and getting the mains stacked up around us without being intrusive to the show. 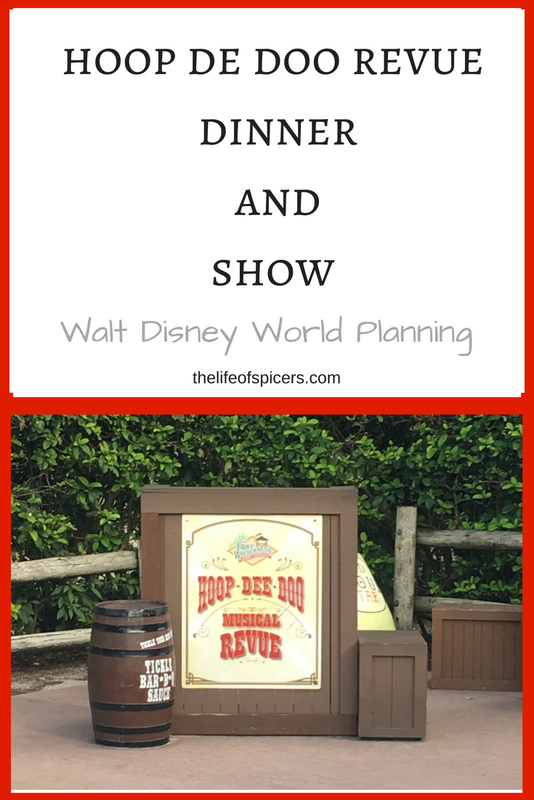 Dinner at Hoop De Doo Revue was buckets of ribs, chicken, mashed potatoes, corn and beans. There was plenty on the table, and when anything was running low, it was replaced without even asking with a new bowl. I was so impressed, although it did mean my jam jar full of wine was being refilled without me noticing, and I think I drank a little more than I would have intended. Still it was amazing value for money, and everything was so tasty. All of this was followed by a strawberry shortcake and cream. The show itself had us all in stitches. There is some audience participation but you’re not made to feel as though you have to join in. The Pioneer Hall players wander around the audience which makes the swivel chairs even more amazing. All of us laughed and clapped the whole way through the show and dinner. It was a definite highlight of our holiday, one that we couldn’t seem to top. Hoop De Doo Revue is definitely worth visiting and I highly recommend you doing so if you get the chance. It was well worth the two dining credits on our opinion. 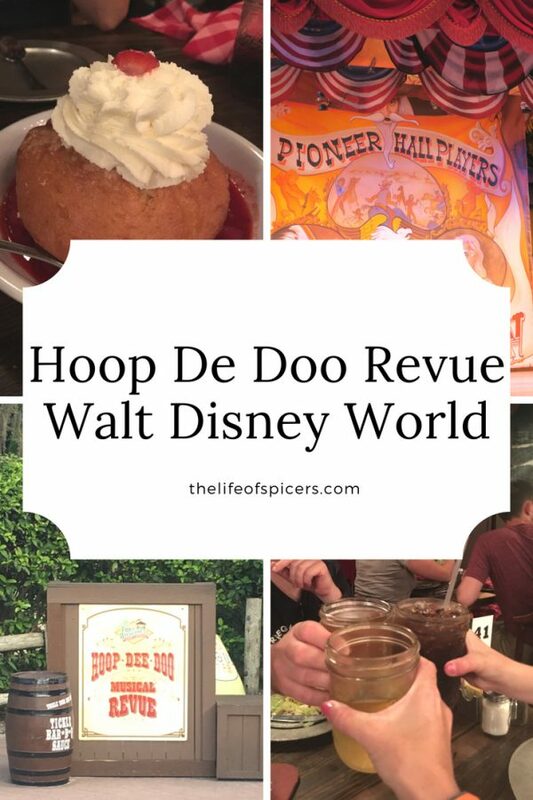 The whole Hoop De Doo Experience lasts around two hours and is very well spaced out with time for eating and entertainment.